Our Fantastic range of Hair tonics are carefully crafted with essential oils, and refined aromatics to help replenish the scalp and hair. Leaving you feeling and smelling fresh all day long. Helps replenish essential oils to the hair and scalp that washing takes out. Fresh Heads hair tonics are available in eight unique fragrances that not only make your hair smell fantastic, but the different ingredients in each product also provide different benefits to your hair. Contact us to find out about our different products. 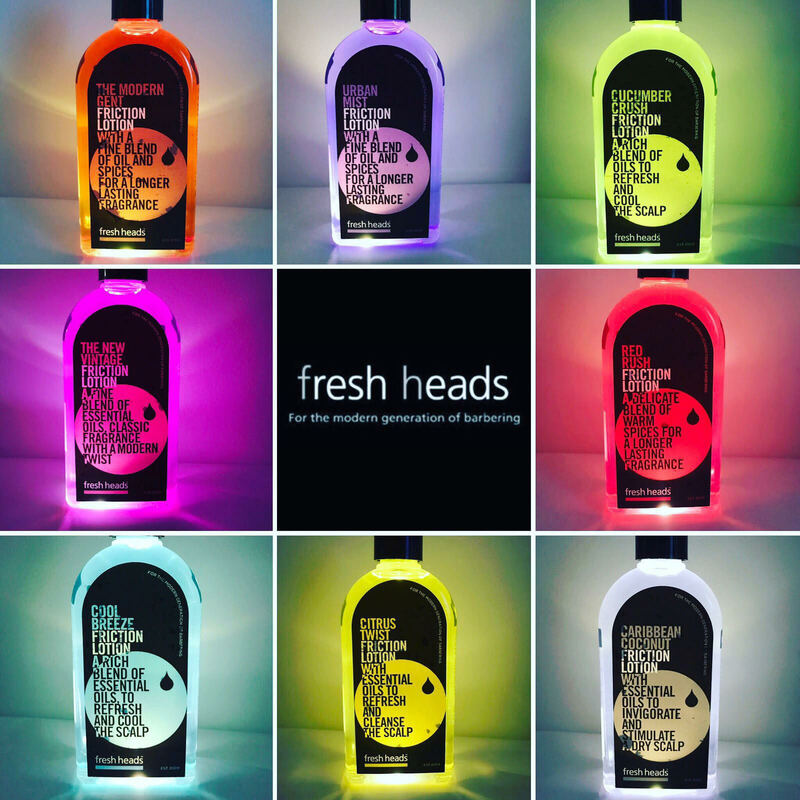 Fresh Heads products are the perfect hair product to use in your hair care business, as when your customer leaves your shop after having Fresh Heads products applied to their hair, they will feel like their hair is the best that is has ever been, and they'll be certain to return to you for their next hair cut. Massaging the scalp helps stimulate hair growth by increasing the blood flow to your hair follicles, which is particularly important for hair growth, given that there are handfuls of nutrients carried by your blood that your hair follicles need in order to spur hair growth, this includes things protein, iron, vitamins A,Band C omega 3s, selenium, biotin and more. Combined with our hairtonics which have the essential oils needed to replenish the hair and scalp it will leave you with a healthy scalp and have a positive impact to you hair follicles on a cellular level. Also will help tackle issues such as slow hair growth, dry skin and dandruff. Visit our shop to view the full range of Fresh Heads products. 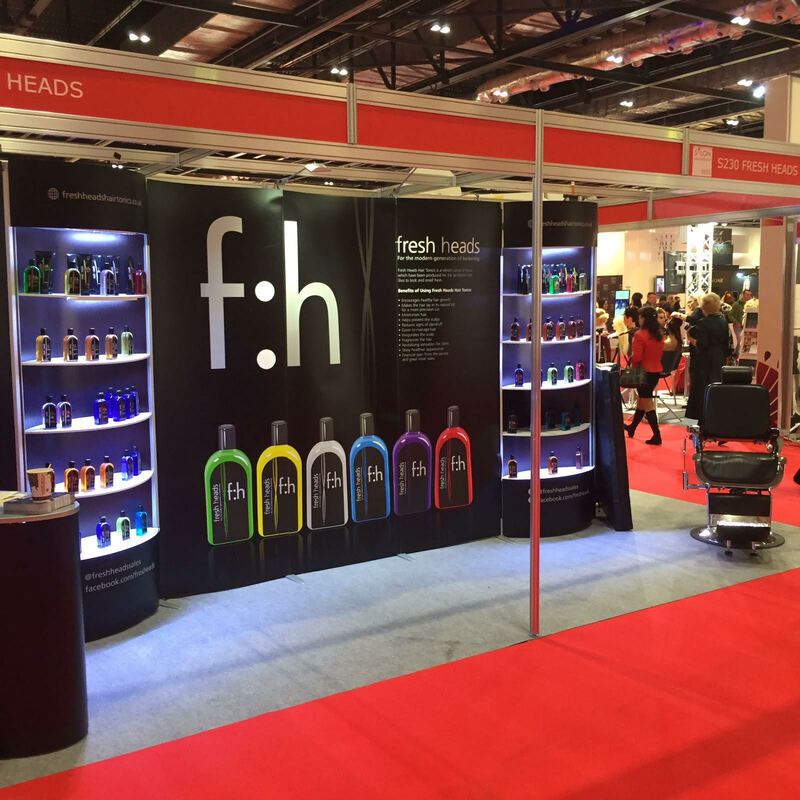 Fresh heads Hair Tonics/friction lotions have created a modern twist on a traditional product maximising on the huge increase in the popularity of barbering. we have created 8 friction lotions to change the client's experience in the barbershop. Smell is such an important motivator in consumer choice. 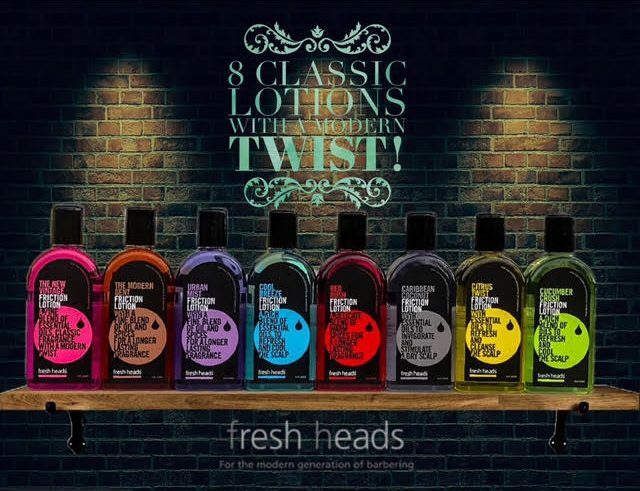 Fresh heads Hair tonics/friction lotions have recognised this essential information and have tailored our products with a fresh new look, including 2 new fragrances that were launched in February 2017 to meet this need in the barbering industry, giving barbers the opportunity to match their clients mood with a harmonising, fresh aroma. Not only are the fiction lotions packed with essential oils to replenish the hair and scalp, they also look good in the sleek new modern packaging.